During The Walt Disney Company's quarterly earnings call, Chairman and CEO Bob Iger provided insight into the company's plans for future video games. As of now, Disney has no intention to publish video games based on their intellectual properties and will instead continue to license their brands to other studios. The most notable representation of this is Disney's current deal with EA to produce games under the Star Wars license. EA's current multi-year licensing deal went into effect back in 2013, shortly after Disney closed LucasArts (RIP Star Wars 1313), and has since been subject to heavy scrutiny by video game fans for their handling of the Star Wars franchise. Regardless of the drama, Disney seems to have a 'good relationship' with EA and has no interest in returning to making video games. In response to a question asked about Disney's potential future in video game development, Iger had this to say. “We’re good at making movies and television shows and theme parks and cruise ships and the like, we’ve just never managed to demonstrate much skill on the publishing side of games. “We’re obviously mindful of the size of that business. Over the years, as you know, we’ve tried our hand at self-publishing, we’ve bought companies, we’ve sold companies, we’ve bought developers, we’ve closed developers. And we’ve found over the years that we haven’t been particularly good at the self-publishing side, but we’ve been great at the licensing side which obviously doesn’t require that much allocation of capital. EA revealed in their quarterly earnings announcement that Respawn Entertainment's Star Wars game Jedi: Fallen Order is currently on track for release later this year, though there is still a possibility that EA could push the release date back to 2020. The pressure is on for EA to deliver a solid, story-driven Star Wars game, especially given their focus on the Battlefront franchise in recent years. Jedi: Fallen Order is under development by an entirely new division at Respawn, led by Stig Asmussen who was the game director for God of War 3. EA CEO Andrew Wilson briefly spoke about Respawn and Jedi: Fallen Order during the call. EA CFO Blake Jorgensen further confirmed that gamers will start to see glimpses of Jedi: Fallen Order gameplay in the coming months. Jorgensen mentioned he also has played the game for about 20 minutes and had wonderful things to say about it. 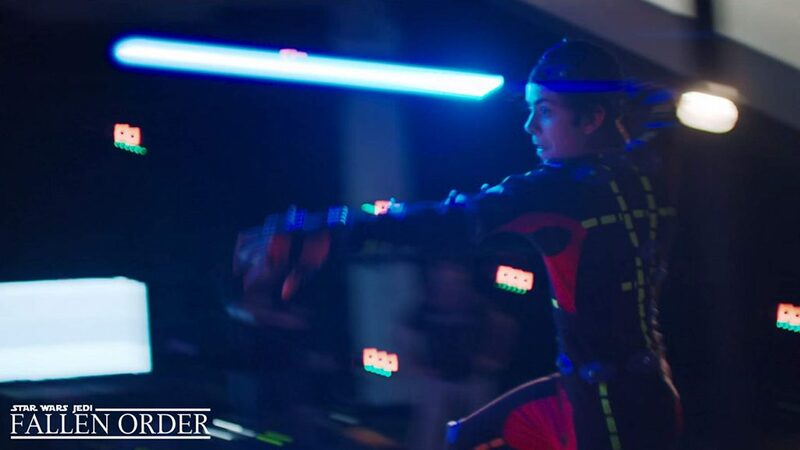 All of that said, we still don't know too much about Jedi: Fallen Order other than it being a third-person, single player action game about an unnamed Jedi several years after Order 66 in Revenge of the Sith. There was a super brief teaser shown at E3 in 2016 during EA's Star Wars trailer. I will say, it is pretty encouraging to hear there is a lengthy playable demo of Jedi: Fallen Order floating around at EA. It is also nice to hear the game is still on track for release later this year, especially with Respawn launching its new battle royale shooter Apex Legends this week. Based on Jorgensen's comments, I'd be surprised if we don't get a trailer and gameplay for Jedi: Fallen Order at or before Star Wars Celebration Chicago in April. As an avid gamer and fan of the Jedi Knight series and Knights of the Old Republic, I am ready to welcome this game to the fold with open arms. I can't wait to see the gameplay of JFO. Once home release arrives, IX to be a Disney+ streaming exclusive.